Welcome to the Media Page for Shanley pump and Equipment, Inc. If you are a reseller of our products, this is the page for you! Here you will find our media kits for your advertising with all the pictures and presentation media to help you present your products in the best way possible. We also have links to our new video series on pumps and pump repairs linked via Youtube as well as links to other sites we recommend or represent. For Legal information about our Downloadable Media, please click here. If you don't see a particular photo or information you require please feel free to drop us a line and tell us what you are looking for. Shanley Pump has its own photo-studio and graphical capabilities so we can get you the media you need, when you need it. 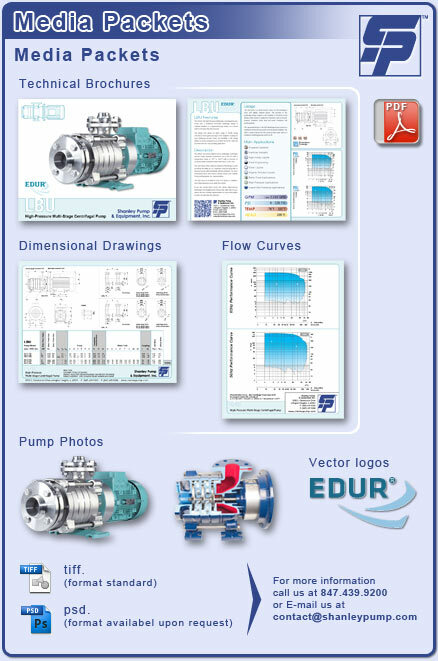 Listed below are the downloadable presentation packages we have available for each pump we represent. Each package contains pre-formatted photographs for your web or print presentations that we ask that you use if you represent our product lines.